And to be sure, being soft or silent about giving and money will win us points with some people – especially people who don’t want to be challenged to grow in generosity and discipleship. 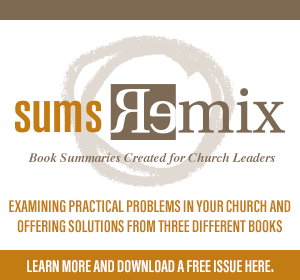 If you’re a Senior Pastor, Executive Pastor, or any kind of stewardship specialist or administrative leader within your church, you need to get more comfortable talking about money with the congregation. It’s a discipleship issue. People grow spiritually as they learn to loosen their grip on earthly possessions and sacrificially invest in something bigger and more eternal than what they see in the here and now. It’s a stewardship issue. Challenging people to give helps people to direct their funds into something that has a long term (eternal) payoff instead of more stuff that fades away. It’s a vision issue. If you believe in what God has called your church to do, then you must believe that God’s means of supporting and supplying it is through the generosity of his people. It’s an empowerment issue. Tons of people are not giving up to their potential because they simply haven’t been invited to do so with any kind of compelling invitation at all. So we asked God to provide at least $250,000 in addition to our regular giving, which amounted to about 40% of our annual budget. I’d never made an ask that large of our congregation – or any other I’d led for that matter. Obviously, plenty of leaders have successfully raised far more, but for our seven-year-old church, it was a rather significant goal. In the first five years of our church’s life, we transitioned from 100% of our budget being met by outside supporters to 100% being met by the tithes and offerings of our members. We’ve been able to send missionaries, support other church plants, train and support church planting teams, serve our community, and carry on all of the ministry that happens within our church family on a weekly basis as well. Over those seven years, I’ve learned a few big lessons – some of them the hard way – about how to raise funds to support ministry and missions. Our financial record-keeping is outsourced to Belay Solutions. We receive offerings and make the deposits, then Belay steps in and manages our funds and our budgets, reconciles our statements, and handles our payroll, taxes, and reporting. People feel way better about giving when they aren’t financially strapped. And part of our role in presenting the wisdom and power of scripture is addressing the most personal and vital of personal areas of life, including personal finances. In the middle of our big season of fundraising, I taught a series of messages called UnStrapped, designed to help people apply biblical wisdom to getting out of debt, saving more, and becoming more generous. It’s hard to ask people to give before we’ve offered this kind of spiritual help. 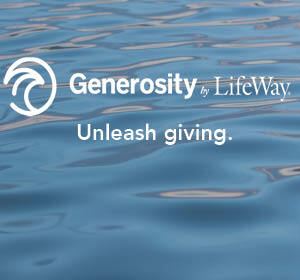 One of the coolest moments, for me, was being able to announce that our staff (whose livelihoods are connected to the giving of our congregation) were giving 15% of our big goal themselves. I know there are various opinions among pastors about how to challenge “large donors,” but I continue to have the conviction that we must truly, deep in our hearts, value every single contribution. Yes, some people need to be challenged to give large amounts because God has entrusted them with much, but never fail to appreciate the magnitude of someone with almost nothing, sharing it because they love Jesus and his church. 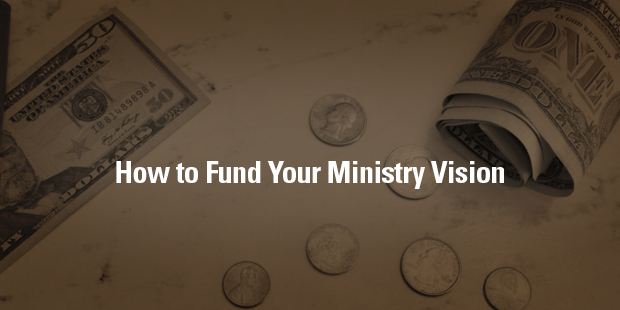 Connect with an Auxano Navigator to learn more about funding your ministry.